The strength of our team comes from the mutual respect for excellence. At Mercedes-Benz Oakville we consistently produce award-winning results from start to finish, top to bottom. We want our team to communicate in a manner that exemplifies personal and professional excellence. If you are the best of the best, here is your opportunity to join a Team that works together and makes great things happen. We are currently seeking highly motivated individuals to join our growing team. We offer a safe and friendly environment to work in. If you have the drive to meet our standards and are ready for the next step in your career, we want to hear from you. 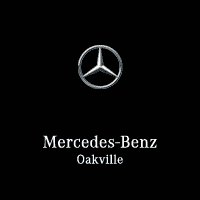 Mercedes-Benz Oakville is an equal opportunity employer and values diversity in its workplace, encouraging applications from all qualified individuals. If you have the drive to exceed customer expectations and are ready to take the next step in your career, we want to hear from you!